This weekend, many of the biggest NFL players will be in Atlanta for Super Bowl LIII—and they will bring their fashion A-game! Whether playing to win the field, attending The 8th Annual NFL Honors, or joining in the revelry of the Big Game, we're sure Hotlanta is about to get even hotter. Watch! editor Victoria Kirby chatted with stylists Chandra Ferrer and Dex Robinson for their take on the most fashionable players in the league for our January-February 2019 issue—on newsstands now! Scroll through to see who made the cut. 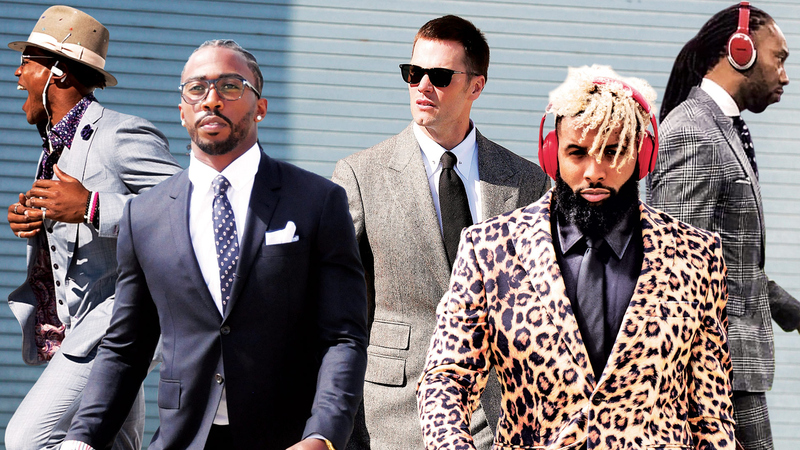 Photo Credit: (L-R) Melissa Melvin-Rodriguez/Carolina Panthers (Newton); Cleveland Browns (Taylor); New England Patriots (Brady); Matthew Swensen/New York Giants (Beckham Jr.); Snapchat (Fitzgerald). Watch The 8th Annual NFL Honors on Saturday, Feb. 2 at 9 PM ET/PT on CBS and CBS All Access. Watch Super Bowl LIII, including festivities like the halftime show, broadcast live on Sunday, Feb. 3, 2019, at 6 PM ET/3 PM PT on CBS and streaming live on CBS All Access.